Call 1-877-417-2161 for ALL Sales and Bookings inquiries. For Technical Support, please scroll down to the bottom of the page. Par2Pro is dedicated to providing the best customer service and support for all of our systems. Whether you have questions before you are ready to buy, would like assistance with installation, or even just want to discuss the system, Par2Pro is here for you. Complete the form below for a quick contact. Par2Pro's Head Office is located in Edmonton, AB Canada and is owned by a fellow golfer who has a passion for golf and technology. With our strategic alliances we are able to provide sales and service throughout North America and some products can be sold internationally. Please feel free to contact us at any time with any questions that you may have. This is also the direct contact method to order your system or ask any questions. *For urgent after hours inquiries, please phone 780-707-1443. Par2Pro is proud to offer Demo Centers across North America where you can try out a system before you buy it! And at some locations, you can also come out for swing analysis, clubfitting or even to get the latest golf equipment. All demonstrations are available by appointment only. Call us Toll Free at 1-877-417-2161 to book your appointment. Virtual Golf, Club Fitting, Lessons, Driving Range, 9 Hole Par 3, Performance Fitness, Physiotherapy, etc. More Demo Centers are available, please contact us for details. "Many thanks for your superb job in setting up our simulator this past week. I can't stop looking at it; it's beautiful! Preston navigated a very tricky room set up yet delivered a wonderful product and also frequently went the extra mile in his efforts. Our members at the club are going to be very happy." "Thanks, I appreciate your promptness, not many websites match your customer service. Customer for life!" 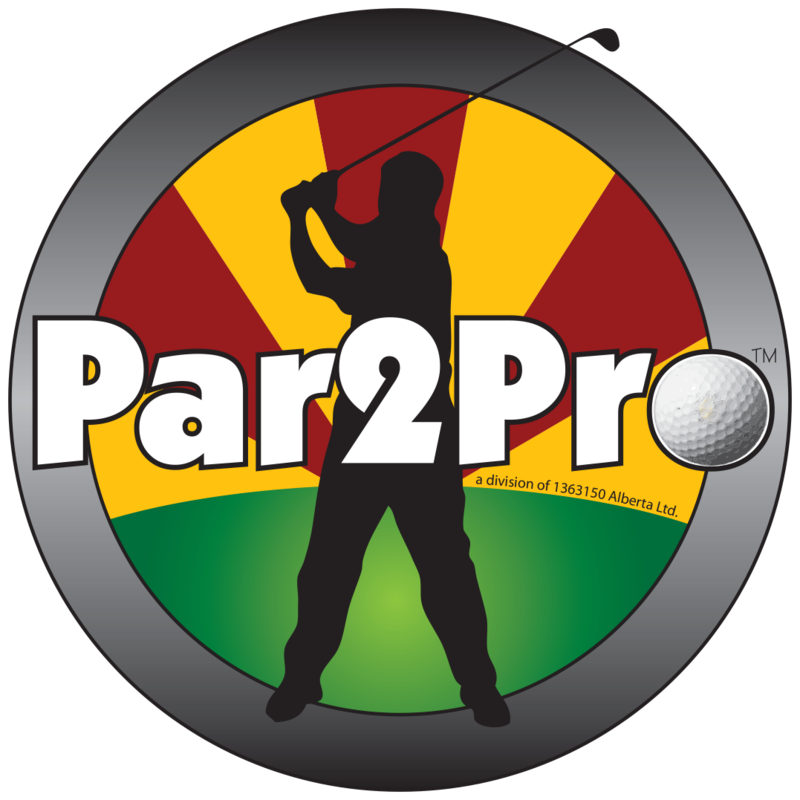 "The simulator has caused a tremndous improvement in my game and has taken 5 strokes off as I was shooting in the low to mid 80s in las vegas a few weeks ago"
"I just wanted to give you some feedback regarding my experience with Par2Pro especially in relation to customer service. The specialist that has been helping me is Preston and he has been outstanding! Rapid response to email questions....even a call after an email question (after regular business hours) last evening. I just wanted to make you aware that as a customer, it is very much appreciated and does not go unnoticed. I will continue to go to your site first for any more of my simulator needs after this experience." "The simulator my game has improved 5 strokes and am already down to an index 10! Amazing technology"
"I would like to thank everybody at Par2Pro for all their help with my system. It is my second system through you and I wouldn't go anywhere else. Thanks again"
"We were recently in the market for an impact screen and stand. I was referred to par2pro.com by a friend of mine who had dealt with them before. I could not be more thrilled with the level of service I received. Everyone went above and beyond to figure out a solution for us. Can't thank the entire crew enough. You have earned a customer for life. Thanks again." "Your work is greatly appreciated. FWIW, during the past year I contacted a number of vendors for information and NO ONE I know of in this business works as hard as you do to ensure the customers get the information and support they need than you do. Your YouTube videos and participation on the Ottawa Golf forums alone make you stand out from the rest." "I really appreciate the time u spent helping me out on this screen and the fast service is awesome"
"Thank you so much for everything and walking me through all my questions. It has been a real pleasure dealing with you." "I also want to say that I appreciate your knowledge on the simulators. I have been doing a lot of reading on the different brands and I have seen that you post on quite a bit of forums and really know your stuff." "I will definitely look in your direction for future purchases and will recommend you to others." "Your YouTube videos and site are top-notch and your answers were helpful." "Thanks for the ultra quick shipping. Everything arrived in perfect shape." "I really like Par2Pro and will work (with) them again in the future. Preston was very helpful and answered all of my questions. He even got on Facetime a couple of times to help me. I couldn't figure out the projector mount and he showed me on FaceTime and it took me like 5 minutes after that." Submit a support ticket or email detailing all the information including your full contact info, which system you have (incl serial #(s) if possible), purchase date, what your setup is, the error(s) you are receiving, etc.